Diverse, active and indulgent, Victoria’s celebrated Central Highlands features photogenic towns and cities steeped in gold rush history, surrounded by hinterland that produces the finest produce, cuisine and wine to grace a table. Its eastern boundary is less than an hour from Melbourne so the Central Highlands region enables residents to easily commute to and from work in Melbourne. There are plenty of quality work opportunities close to home too. The region is known for manufacturing and agriculture, and growing in health, retail, education, tourism, property, financial services and construction. 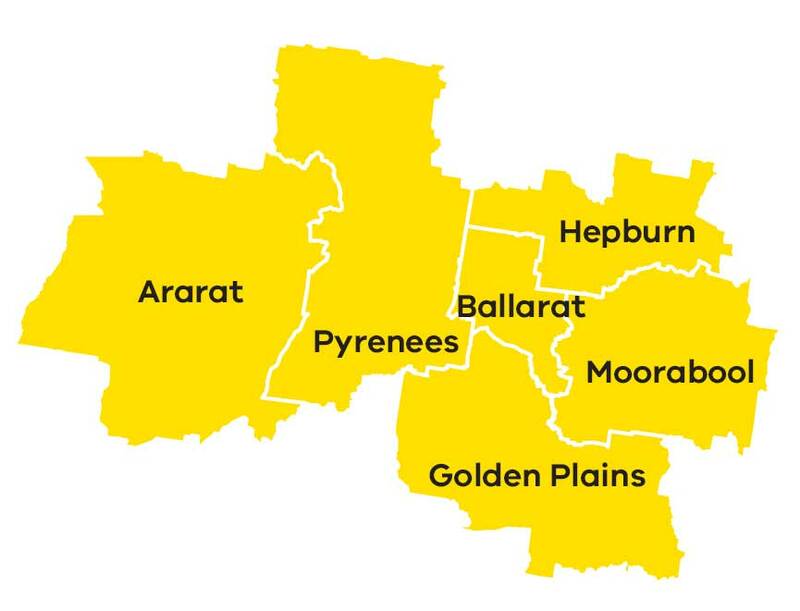 Central Highlands includes six municipalities in central western Victoria: Ararat Rural City, City of Ballarat, Golden Plains, Hepburn, Moorabool, and Pyrenees. Eastern end of the region borders metropolitan Melbourne and is well connected to Melbourne's ports and airport. This has been strengthened by the Deer Park Bypass and will be further improved through upgrades to the Western Highway east of Bacchus Marsh. Key growth areas for the region include retail trade, manufacturing, property and business services, health and community services, education and tourism. Further investment in water infrastructure and land use planning to support existing and new industry, in particular viticulture and intensive agriculture. Many towns in Central Highlands have capacity to accommodate more people to spur economic growth and development. To act as the region's capital, road and public transport links to Ballarat need improvements, while smaller townships need investment in sewerage connections to accommodate additional population growth. The Central Highlands Regional Growth Plan is one of eight regional growth plans across Victoria. It provides a broad direction for regional land use and development as well as high level planning frameworks and the means to implement the strategic land use and infrastructure directions that are set out in the Regional Strategic Plans.